It’s certainly not deliberate, but I tend to read similar science fiction novels at around the same time. Perhaps it’s because of the kinds of searches I do to try to find interesting books. My latest excursions have been the Virga series by Karl Schroeder, and the Ragamuffin-Crystal Rain series by Tobias Bucknell. This post is about the former series. 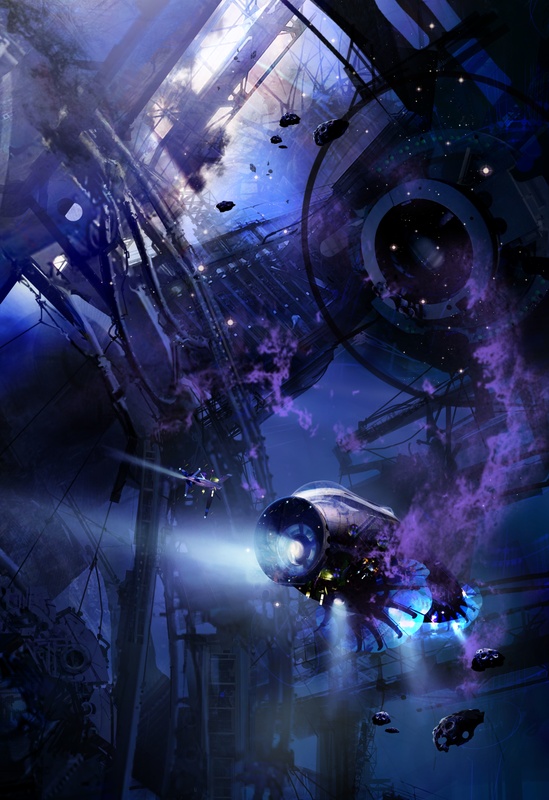 You can classify sci-fi writing in various ways. 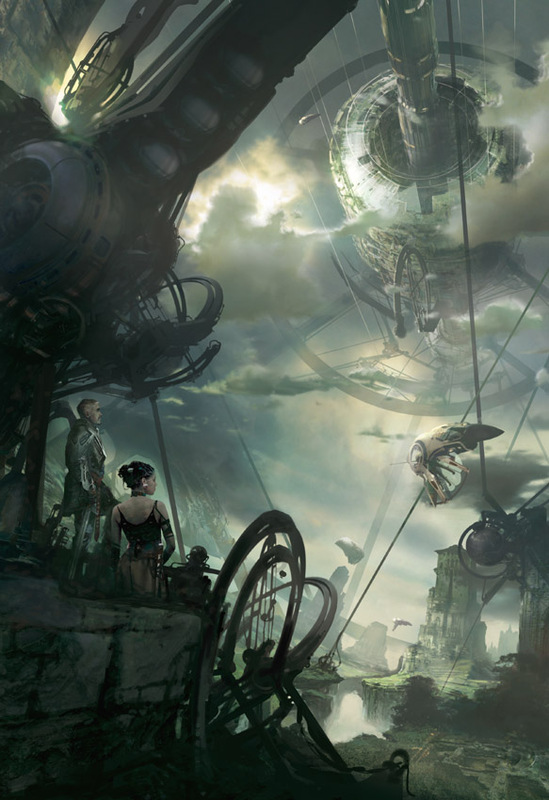 The subject matter can be described using overlapping subgenres like steampunk, cyberpunk, space opera, post-apocalyptic, humour and alien encounters. Hard and soft science fiction refer to the scientific plausibility. One of the less-popular genres is that of world-building. There are several good books in this genre. Clarke’s Rama, Brian Aldiss’s Helliconia, Niven’s Ringworld are among those I’ve read. Right up there with the best of hard world-building sci fi is Karl Schroeder’s Virga series, which has a bit of many of the genres described above mixed in. I’ve read the first four of the Virga books. I’ll completely avoid describing the world that Schroeder built. Here’s why. When I read the first novel, Sun of Suns, I had no background on the Virga universe. This led to a great deal of confusion initially, since the laws and functioning of the world were unusual and unknown. Clarity came slowly, with an understanding of the physics and laws of Virga. Concepts that seemed odd, unlikely or silly began to make perfect sense. This is quite common in many science fiction books, and it adds a lot to the experience. I’d recommend that anyone else planning to read the books in this series approach it the same way: don’t read too many reviews, just go by the rating on Amazon etc. if you need to be convinced that it’s a good sci-fi series, and plunge in. It’ll be an interesting ride. One of the things I’ve been lamenting in recent sci-fi is the sacrifice of storytelling on the altar of ideation. A lot of recent authors have brilliant ideas, but their novels feel simply like vehicles for outpourings of their ideas. Storytelling seems cursory and irrelevant. Stories are wrapped up without a real ending, seemingly either because an editor somewhere decides they are getting too long, or the author finished conveying his ideas and was too bored to bother with any more work. The Virga novels don’t suffer from this. They’re well-plotted. The story in these books hurtles forward in a series of action-filled, high-energy encounters that take place in amazingly innovative scenarios. The science supports the story. The little details add to the atmosphere, and don’t distract from it. Overall, these stories have pretty good pacing. There are occasional stutters: pacing can be a tad inconsistent, and they have a few dead spots where the story drags. But this only happens occasionally. The true reward in reading these books is the world that Schroeder has created. Starting from the basic premise of a devolved society in a world without gravity (why such a world would exist is explained in the course of the series), Schroeder uses nothing more than the laws of physics and his imagination to come up with plausible ideas for human artifacts and societies that are quaint and whimsical yet solidly grounded in science; swashbuckling and rollicking yet paying great attention to detail. Elements of steampunk and high seas pirate adventures are mixed in very holistically; all of the various aspects quite obviously flow from Schroeder’s fundamental premises. At no point did I feel that a notion or an idea that was in spirit different from the rest was tacked on. The four books don’t tell a single story, although they should be read in order. They have a common feel, but are slightly different in the type of story they tell. The first one is a bit of an introduction: it describes the emotional and cultural gestalt of the world and culminates in an event that sets the stage for events in the rest of the books. The second book, Queen of Candesce, is the fastest paced (and to me, the most enjoyable) of the lot, with a little bit of political intrigue. The third book was slightly uneven, although it had some soaringly creative highlights. The fourth is the most daring book, providing Final Explanations of various things that go on in Virga, and even — for the first time — leaving Virga entirely. I had an interesting discussion with Bekaar BokBok recently about writing styles among Indian English authors. For practical purposes, my first language is English. It would be lovely to read immersively Indian books that also sport a suave command of English. A few authors do write this way. Rushdie does, at times. Samit Basu and (sometimes) Amitav Ghosh do it. But it would be fun to see a lot more. S. L. Bhyrappa excites a lot of interest in the blogosphere, probably because he tends to write from a traditional Hindu viewpoint — a taboo in today’s “secular”ized media environment. Bhyrappa writes in Kannada, and unfortunately the translations of his books leave a lot to be desired. It is a hard thing to translate. I’ve read translations of two of his books: Saartha and Vamshavriksha. One way to describe the translations is that the form of the novels is translated, but not the texture. That may not be entirely accurate, since I have no idea what the texture of the Kannada originals is like. But the English translations simply lack texture. By this, I mean that the writing is utterly unevocative and deficient in beauty of language, milieu details and ambience. Rather, it is a matter-of-fact narration of the events in the Kannada originals. It is quite amazing how off-putting this is, even if you get the essentials of the story. It’s possible that the originals are also written in this style. Unfortunately, I’ve not read much Indian-language literature. However, a few Telugu short stories which I have read also seem to have this characteristic. There is a steady flow of narrative, but minimal descriptive writing. If someone is in a forest, for example, his surroundings might be described (directly) as dense, gloomy, dark or thick. But this kind of explicit description seems more common than an evocation of those feelings through a more detailed description of the surroundings. Anyway, to get back to Vamshavriksha. Interesting though it was, this book also belongs to the large body of “open to interpretation” lit. The events are vaguely connected to a perceivable philosophical undercurrent, but they defy easy categorization. Neither the underlying philosophy nor the novel’s flow in any one direction. The story doesn’t have much of a beginning or conclusion. Events lead to one another rather unsatisfactorily, and there’s rarely a build-up of pace or a sense that something important is happening. I found even the subject matter of the novel, the stuff in the narrative, unusual and difficult to identify with. However, this was actually a good thing. For a change, we have an author who isn’t ashamed to present Hinduism in a positive way in his novels. Also, while it’s not exactly spiritual, Vamshavriksha is saturated with the spiritual/philosophic attitude of the protagonists. Every event is evaluated in the light of tradition, the Vedas, Hindu philosophy. It’s a viewpoint I know many people have (including most of my relatives and almost everyone in my parents’ generation), but I don’t have it, and so this book gives me a window into the way they think. It’s a book worth reading, intellectually, but I must say the translated version is a tad insipid. A translation with a bit more verve would do Bhyrappa’s readers a great service. The first time I ever heard of Carl Sagan was on a Sunday midmorning more than 20 years ago. I was maybe 10 at the time. We used to watch Star Trek reruns on Doordarshan (the only channel in India back then). Eagerly filing into a friend’s house to watch Star Trek, we were quite disappointed to hear that the programme had been cancelled and replaced by something called Cosmos. Still, the name Cosmos sounded promising. We were even more intrigued when, a few minutes into the programme, we saw the main guy standing in a spaceship. He began talking. We kept watching, hoping something would happen. But it didn’t. No monsters, no fistfights, no logical pointy-eared aliens. Nothing exciting at all, in fact. The man just kept talking interminably about something or other and then the programme ended. We filed out, disappointed at having wasted a Sunday morning. I perceived that I was on a little round grain of rock and metal, filmed with water and with air, whirling in sunlight and darkness. And on the skin of that little grain all the swarms of men, generation by generation, had lived in labour and blindness, with intermittent joy and intermittent lucidity of spirit. And all their history, with its folk-wanderings, its empires, its philosophies, its proud sciences, its social revolutions, its increasing hunger for community, was but a flicker in one day of the lives of stars. The similarity of thought is striking; Stapledon almost sems to have been looking at the same image (which didn’t exist in 1937, of course). This is perhaps quite a common sentiment, felt and expressed by various writers at various times. I would say that, when contemplating the vastness of space, it is hard not to be awed by the relative insignificance of our world. These two authors express it beautifully. Growing up, I was a big fan of some of Tolkien’s works. I started with the Lord of the Rings, which I had heard a lot of hype about. I bought the trilogy at Calcutta’s great book fair, which used to be one of the high points of my year: at par with Diwali and other festivals. Having bought it, I struggled to get through the first book; its pace was too slow for me. On my second attempt I managed to get through the first book, and then found the next two impossible to put down. I’ve since read LotR about 5 or 6 times; and I’ve also read The Hobbit and The Silmarillion, and admired the early Tolkien-inspired artists. These are among my favourite books, evoking a sense of fantasy and romance that the multitudes of more recent pretenders fail to. Yet, they are not without their faults. The East/North vs. West/South aspect of Tolkien’s writings is bothersome and also peculiar. This goes beyond the story in his book, where of course Mordor lies to the East. Tolkien’s phrasing implies no dissociation between evil in the East and the East itself. The sense is that there is something inherently bad about lands that lie East, as if the compass direction is itself imbued with an immanent malevolence. There is a similar implication for the South (Southrons, for example) though this isn’t fleshed out as much. Critics who accuse Tolkien of racism fall into three camps: those who see him as intentionally racist; those who see him as having passively absorbed the racism or Eurocentrism of his time; and those who, tracing an evolution in his writing, see him becoming aware of a racism/Eurocentrism implicit in his early works and taking care to counter it in his later ones. I believe the defenses of Tolkien can also be classified into three categories. Some say Tolkien was born during a racist time and his works should be seen in that context; he wasn’t especially racist. Some provide anecdotes from his works where a member of a fair/Western race is evil, and say this proves Tolkien wasn’t racist. The remaining is a miscellaneous catch-all category, including such peculiar explanations as “Tolkien was a Christian, hence couldn’t have been a racist”. I would tend to agree with the first defense, which actually admits the racism. Other writers of that period have similar attitudes. (For example, the works of Edgar Rice Burroughs, the creator of Tarzan, would be unpublishable now. The racist content of ERB’s Tarzan or his Mars and Venus books is explicit and clear.) While this does implicate Tolkien, his racism was perhaps milder than that of his peers the British, who held a number of juicy and choice racist opinions about Indians. He was certainly less of a racist than Winston Churchill. The second defense cites examples such as Saruman or the Numenorean kings who turned evil. Since there exist some members of the “noble races” who are evil, Tolkien’s defenders argue, Tolkien didn’t think the noble races were actually noble. This defense is silly and is invalid for several reasons. First, the only “crime” of Saruman and the Nazgul was to side with the East. As such, their evilness presupposes the goodness of the West. It’s a cyclical argument. Second, one or two bad apples change nothing. Tolkien’s construction still attributed much racial nobility to the Western races. So does this mean I won’t read Tolkien’s books again? Nope, and there’s no bitterness either. Tolkien remains a great storybuilder. Before his works, the West had a few mythologies but these were before Europeans came into conflict with the rest of the world. As a result they are Eurospecific. Tolkien’s mythology is perhaps the first in the Western world that includes the aspirations and fears of the West that arise from conflict with other, distinctly non-Western cultures. This might explain why so many Westerners can viscerally identify with it. For me, it is simply the high fantasy, the detailed mythology and the restrained profundity of the events. I’m close to being done with Ram Guha’s India After Gandhi. Again, this isn’t a review of the book (I think the book’s subject matter is actually too complex for a short review to mean much). I have mixed feelings. Guha structures his book into two parts: the first 2/3 or so is a chronological history of India from the beginning of Nehru’s tenure up to and including Rajiv Gandhi’s term as prime minister. This part of the book is a broad canvas, trying to describe all significant events in India in chronological order. In the second part, the last 1/3, the book discards chronology and describes various specific aspects of India’s history. Each subsection here deals with a specific topic, and includes various incidents at all times of Indian history relevant to the topic. The first half of the book is great, consistent and helps understand the Indian story. The second part is a disappointment so far: it seems haphazard, opinionated, unresearched and internally inconsistent. Guha explains the reason he structured the book this way: events that are very recent are hard to see as part of the whole; some distance in time is required before patterns become visible. This, I think, is a very valid point, but Guha shouldn’t have rushed to insert his opinions into the second part of the book. While reading, I zoomed through the first half of the book but the second half is less interesting, less convincing, occasionally jarring, and opinionated withal; I’m finding it a bit of a drag. It could have been polished a lot more. There’s another, earlier, book that deals with (roughly) the same period in Indian history: India after Independence, by Bipan Chandra (and co-authors Mridula Mukherjee and Aditya Mukherjee), which came out 2000. The patterns they see are very similar to those presented by Ram Guha, but Ram Guha’s language is more interesting and has a certain flair compared to the textbook-y Bipan Chandra. The most striking common opinion between the two books is their approval of Nehru’s terms as prime minister. On blogs nowadays, and even in books, it is common to see heavy doses of Nehru-bashing on the basis of economic and foreign policy. Both these books claim that it was Nehru, far more than any one else, who kept India from disintegrating and held off communal and other conflagrations in the early years. The continued existence of Indian democracy is largely thanks to Nehru. Ram Guha also makes it quite explicit that, although Nehru was wedded to socialist ideals, by no means did he need to put any pressure on anyone to follow them: the mood of the entire country at that time was largely socialist in terms of economic policy. There is also a feeling that it was Nehru who turned Congress into a family-owned business; both the books clarify that Nehru found any form of nepotism abhorrhent, and that it was Indira Gandhi who was responsible for the about turn. Science and higher education is owed almost entirely to Nehru, who supported practically every successful Indian institution of tertiary education existing today. On the topic of the linguistic reorganization of the states, there appears to be some difference of opinion in the two books. If memory serves correctly, Bipan Chandra gives the impression that it was Nehru who held off the North-Indian Hindi chauvinists, and, by association, allowed the formation of Andhra Pradesh (which later led to demands for other states). Ram Guha writes that Nehru was heavily opposed to statehood for A.P. and held out until Potti Sriramulu actually fasted to death. But by and large, either book clarifies why Nehru was so important, and why his influence was overwhelmingly benign. So, while I didn’t like the second half, I thought the first half was fantastic. I find myself wishing something like this was available when I was in high school. There were, I think, some books on the topic written by foreigners. But most of those authors are anglophiles and fail to understand the nature of Indians and India. They also often suffer from preconceptions peculiar to the Western mind: for example, that British rule was good for Indians, that the Indian state is constantly on the verge of some kind of massive collapse, and that Pakistan is “preferable” to India because of its religion (which I think is a rationalization of the inability to imagine a country as disorganized as India having a pan-Indian identity). It is perhaps hard for a Western author to understand the collective Indian consciousness. I wish more Indian historians would write about India. Even very specific topics, such as say the doings of the British in the Rayalseema region of A.P., or the confrontations between the Rajput kings and the Mughals, could make very detailed and interesting stories. I’m sure there are many who would like to understand better how common people and kings lived in those days, set against the backdrop of bigger events. It’s not clear why there isn’t any “popular scholarship” on any such historical happenings. I’m reading Ramachandra Guha’s great book on the history of India since independence. I’m only about a third into it, but I can say it is mostly a fascinating read. Ram Guha seems to see the big picture and writes with balance: that is, he isn’t patently for or against any view and describes history as it happened, not as he wishes people to perceive it. Unlike most writers and (even more so) our print media, he isn’t “against” any party. This post isn’t a review of the book. It’s hard to review such a complex book and there’s really a LOT to say about it — maybe later. This is just a comment about one meta-level feature of the book. In Ram Guha’s descriptions and writings, I get the distinct impression that for the first decade and a half after independence, the debates in Parliament were erudite, deep, considered and logical. The wisdom in the statements men and women made in parliament is apparent. Whether the arguments were right or wrong, they were products of logical deliberation. Decisions and arguments for or against them were based on a careful consideration of their long-term effects. Today the situation seems more mixed. Even today some decisions are thrown up for debate by ministers who do present detailed arguments about them. This leads to a civilized debate. But other bills are promoted simply on noise: the minister shouts long and hard and loud, and the volume of his/her voice seems to be the sole argument for the legislation. Some legislations are brazen vote-gathering devices, others are blatantly self-serving. So the quality of debate and legislation in parliament seems to have declined sharply over the decades. Does it seem this way because Ram Guha, as a historian, chose to focus on the debates of the earlier period and ignore the noise? Or has there really been a shift in the attitudes of legislators? I might know by the time I finish the book. If it is the latter, it is ironic. At a time when India had low levels of education, we had careful, civilized legislation. Now that education levels are much improved, we have vote-grabbers and rabble-rousers in parliament. 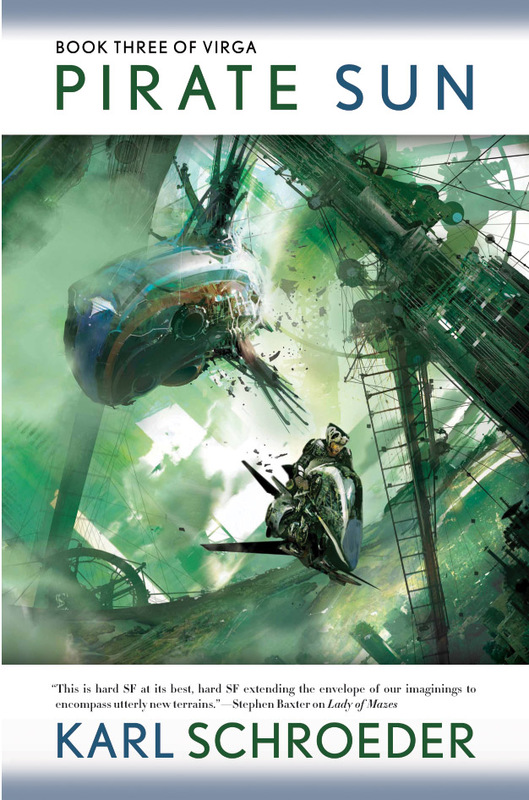 Fractured Nations in Sci Fi! Coincidentally, I read two science fiction books recently that featured a common theme: balkanized countries. In Black Man by Richard Morgan, a religious backlash splits America into Jesusland and the Rim States. In River of Gods by Ian McDonald, India is divided into several sub-nations: Bharat (the Hindi hearland), Bangla (West Bengal and Bangladesh), and a bunch of others. 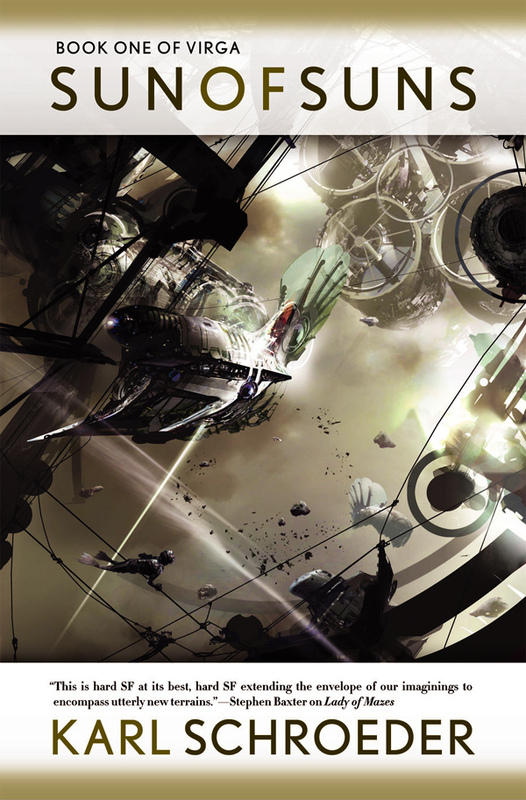 Science fiction nowadays is characterized by very intelligent writers who weave together tens of science fiction ideas to create their worlds. Perhaps the simpler ideas that characterized previous generations of sci fi writers don’t cut it anymore. Perhaps the complexity is needed to grab the attention of readers who have way too many options. As I’ve lamented before, this complexity often comes at a price: plot, storytelling suffer. Charles Stross, for example, writes excellent prose but often doesn’t seem to care about his plot and ending. Greg Egan’s novels, while tremendously entertaining, are sometimes just outpourings of ideas, having very little to do with storytelling. The debate about whether India should be a single nation is very common; many people have expressed the idea that India isn’t really a nation. In River of Gods, the nations that form are relatively geographically and linguistically homogeneous. Ian McDonald is actually pretty well-informed about things in India, and his 2050 India is very convincing. He seems to have taken some characteristics of the regions and made that the primary feature of the new nations. Bengalis, for example, are known for their technical and engineering prowess. The side by side mix of poverty and high technology mirrors the India of today. A very interesting bit of speculative fiction on the future of India! Here’s my list of aggravations, observed quite independently of the book, that make me grit my teeth with irritation. I guess I’ll keep adding to it over time. Your instead of You’re Example: “Let me know where your going”. Common on juvie forums across the internet. Martha and I I imagine this is a peculiarity of American speech. Reminded often that you say “Martha and I are going there” and not “Martha and me are going there,” Americans overcompensate and use “Martha and I” everywhere. “He invited Martha and I for dinner.” Urgghhttt! “Of” overuse “We will provide as detailed of a coverage as we can,” the lady says. I’ve heard this mostly from Americans. I believe the correct usage is “As detailed a coverage”, and adding the extra “of” makes it sound grammatically incorrect — and silly. Another example: “jump off of a building”, instead of “jump off a building”. Wuh? “Moot” misuse This is common in a lot of Indian sources. An example: “The moot question is, who is the culprit?”. Moot means irrelevant or of no practical importance. But reporter after reporter seems to use it with a meaning diametrically opposite. Alot It’s a peculiar trend: a lot of people (mostly kids on forums) seem to think “a lot” is a single word. “ALOT of people think so”, you might read somewhere. I could care less The correct phrase is “I couldn’t care less”, but presumably several dumb pre-teens misheard it and continued using the incorrect version into adulthood. Here‘s some more info on this. Beg the question Most people who use this phrase have absolutely no clue what it means. “Begging the question” means to use a circular argument. If you are trying to prove a statement but assume the statement itself at some point in the proof, THAT’s begging the question. It’s explained in detail on wikipedia. It has nothing to do with the natural question to ask in a given situation. “He witnessed the murder, which begs the question why he was there in the first place.” — that’s completely wrong. Dialogues The word “dialogue” is popular in India, but not in its usual form. It is used almost exclusively to refer to lines in movies. It doesn’t represent an exchange between two parties, and it doesn’t refer to the totality of such an exchange. A dialogue is simply a single line in a movie. “What a dialogue, yaar!” “The dialogues were written by…” etc. This doesn’t actually bother me that much; it is so widespread that I view it as an addition to Indian English rather than simply an incorrect use of the term. A few days ago, I finished reading the very interesting Camouflage by Joe Haldeman. Haldeman is perhaps best known for his war book The Forever War, which I haven’t read yet, though I’ve read books it’s been compared to, like Starship Troopers by Heinlein and Old Man’s War by Joe Scalzi. I enjoyed both those books in a simple-reading, uncerebral way. These authors come up with very smart ideas, but the narration is decidedly uncerebral: the author simply explains all of what’s going on; the reader isn’t expected to think about things for himself. Even the surprises and plot twists have this author-explains-everything-nicely-for-reader quality. Isaac Asimov’s style, on the other hand, engages the reader’s thought centres more. This is not to say Asimov wrote hard science fiction — far from it — but, given the specific parameters and axioms (however far-fetched) on which his universe rests, he tends to be a lot more analytical while using them to draw his conclusions. Camouflage is firmly in the Heinlein-Scalzi mould, by which I mean the author spoonfeeds or handholds the reader to a great extent and doesn’t indulge in cerebral exchanges or polemics within the book. Haldeman goes farther along that path than Heinlein or Scalzi. There are some nice ideas in the book, but they’re described in an emotional monotone, devoid of the sense of wonder or excitement or inquiry that I usually expect from a sci-fi book. The events have interesting implications, but the author (and the characters) don’t get sufficiently pumped up about them. The result, for me, was a sense of dissatisfaction with the level of thought and emotion exhibited. The events in the book are sci-fi, but have the narrative quality of magic spells: it’s hard to guess what the limits of the aliens’ capabilities are. I certainly enjoyed the book, but I’d call it nice, not clever. So what’s the book about? Briefly, the story flows around the exploits of an alien shapeshifter through several decades (it lives practically indefinitely), up until the point where its ship is discovered by humans. Along the way, it mentions how the alien comes to understand what it means to be human. The book is suffused with interesting scenarios related to the alien’s alienness as well as its humanness, and also some technological marvels. A quick, easy read. I’ve been reading this trio of books on Indian cricket. Or maybe I should say the Indian history of cricket. I’m reading somewhat haphazardly, but I have to say that the character of cricket in India is fascinating. I’ll update the blog with a separate entry for some of these books when I am done reading, but here’s a brief description of each. 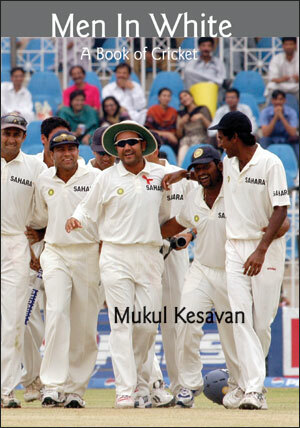 Men in White by Mukul Kesavan is Kesavan’s collection of personal impressions about cricket. It’s not historical. For me this book wasn’t so much brilliant or informative as a roadmap. There are various interesting things mentioned, but too much of it is either familiar and well-known or esoteric and specific to Kesavan’s interests. However, the book did mention things which I wasn’t quite aware of, and recommended Ramachandra Guha’s history. 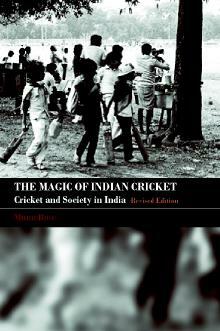 The Magic of Indian Cricket by Mihir Bose is not a history of cricket in India. This book is truly magical. I find it hard to classify it; it jumps all over the place and touches upon topics as diverse as the origin of the English passion for sport, the British hatred for the Hindu, the mutiny of 1857, Jawaharlal Nehru’s role in the exclusion of South Africa from the Commonwealth, Greek social norms concerning the olympics and why the Indian media love to hate Sunil Gavaskar. Every paragraph is an excursion into something interesting an novel. Cricket is woven into this throughout, but the book isn’t exactly about cricket. I’ve walked on the Calcutta Maidan many, many times, but only after reading this book do I realize its sheer eminence in the colonial, political, religious and sporting history of India. A Corner of a Foreign Field by Ramachandra Guha is the most erudite chronicle in this trio. It’s a true history, but thankfully not as dry as some of Guha’s other books, such as his book on Verrier Elwin. 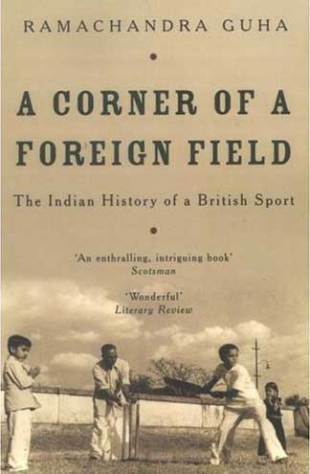 I’m not very far into it, but it’s a fascinating look into the development of cricket in India, starting with the Parsees who wanted to play on the Maidan in Bombay. 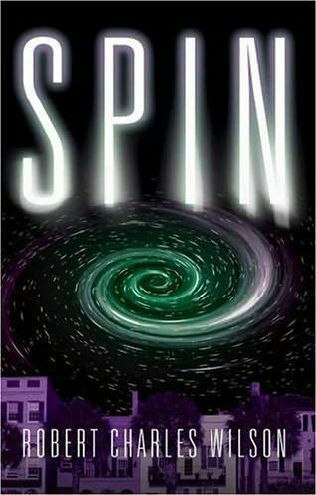 After a long hiatus, I picked up my first sci-fi book in about a year: Spin, by Robert Charles Wilson. The story begins when, one clear night, all the stars disappear. The story is from the perspective of one relatively ordinary person (Tyler Dupree) who happens, just by luck or chance, throughout his life, to be close to all the significant developments in humanity’s response to this event. Darwinia is the only other book by Wilson that I’ve read so far, and it was a relief to see that, unlike that book, this one stays true to itself and doesn’t jump out of its own skin in an effort to shock the reader. Spin is an balanced mix of pseudoscience (i.e. science-like ideas) and down-to-earth emotional storytelling. The pseudoscience doesn’t have many ideas that could be called new. Malthusian principles, von Neumann replicators, advanced alien civilizations that have colonized the galaxy eons ago, relativistic-style time differentials. It’s the way Wilson uses these ideas that is unique: he arranges them in new, interesting configurations. Wilson creates interesting problems and comes up with brilliant solutions. Many science fiction products — for example, Star Trek: The Next Generation, though that isn’t a book — create interesting problems but then rely on a solution that is extrinsic, unrestricted by the parameters of the problem. If the ship’s drive is about to fail and Lt. Data says, “add some dilithium crystals and increase power to the secondary antimatter drive, resulting in a Markov field which will get us out of here” that isn’t a solution; it is mumbo-jumbo. Conceptually, it is no different from a magic spell. In Spin, once the laws are laid out it’s obvious that the solution lies within the parameters of the laws; if the reader thought about it long enough, s/he would be able to come up with the same solution. Just as importantly, he doesn’t focus on the pseudoscience itself. His main interest in the book is in how things affect humanity. The story is almost entirely about the Tyler’s feelings as he moves through life in close proximity to the people who make the big decisions about mankind’s response. A lot of the feelings have nothing to do with the momentous events at hand; just with normal human relationships and how they are affected by the events. This is in contrast to several modern science fiction writers, such as Greg Egan, Charles Stross and Peter Watts, who go all-out with the pseudoscience. I find such authors fascinating but slightly unfulfilling as story-tellers. Because I’m Indian, I like to see India mentioned. India finds little purchase in the minds of most science-fiction writers; I can’t think of many sci-fi books where India is portrayed favourably (Carl Sagan’s Contact at least doesn’t brush India off). This book was written in 2005, a time when it became obvious India is going to space, and also that India would be inflential economically. Wilson seems well-informed but dismisses India: Russia, the EU, China, the US all have important roles to play — India doesn’t. But that’s a very minor gripe. The real problem with this book is its low-keyness. The narrator Tyler is excessively humble in his descriptions of himself and everything else. While the descriptions do get ideas across, there are no highlights: things are delivered in a kind of emotional monotone. Even exuberant events don’t seem to affect Tyler’s understated observation; he doesn’t seem to know what to do with strong emotions. Reading such a monotone throughout the book was a little wearisome: I wish there was a little more enthusiasm! While the Indian version is nice, the German one is much more evocative and appealing (although the glowering eyes do diminish it a bit). 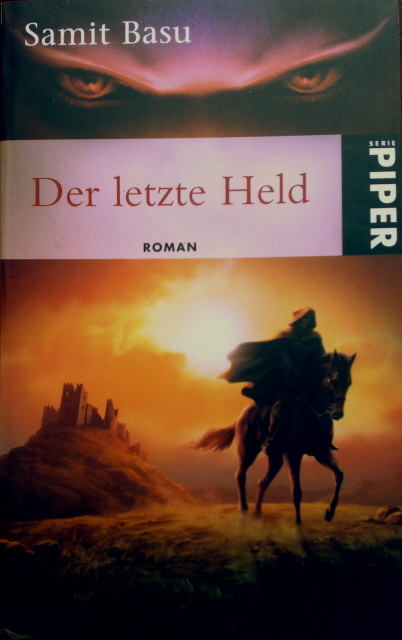 The German version immediately makes me wonder what the story is about. Whose castle is that? What quest is that rider on? Why does s/he have a hood? The Indian one is just all right, I look at it and flip to the next page. I wonder why Indian publishers are lackadaisical about cover publicity? Surely they know that people do judge a book by its cover? I wouldn’t buy the argument that the Indian cover is more appealing to Indians, because I’m pretty sure it’s not. 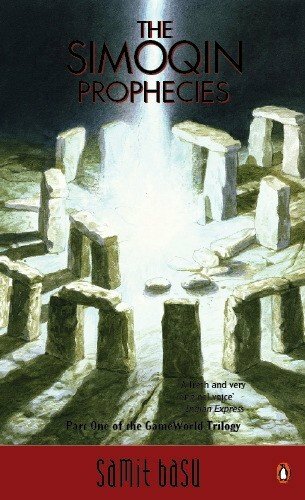 Just started reading The Simoquin Prophecies, the first book of the GameWorld trilogy by Samit Basu. The dude is just 28 now, and according to Wikipedia was only 22 when The Simoquin Prophecies was released! The first thing that struck me about this book is its tonal similarity to Terry Pratchett’s DiscWorld series. I got the feeling Basu set out to write an Indian version of the Fantasy-spoof. So far, Basu seems to be doing a good job. The humour is good, the allusions are recognizable and cute, and the writing is natural. The storytelling: I’m not hooked yet, and I definitely don’t understand some of the superlative praise heaped on the book, but maybe I will in a few pages. I’ll update once I read a little more. I’m really enjoying Amitav Ghosh’s Sea of Poppies. 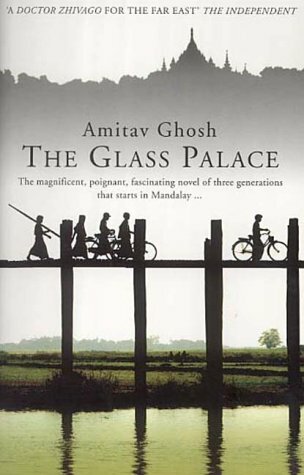 Ghosh is one of those writers who seems to write some very good books and some very pedestrian ones. Like I said before, his prose is prosaic, so to speak, and lacks the kind of flair achieved by Salman Rushdie and attempted by Arundhati Roy. It’s very correct, but I found it a bit too bland in The Glass Palace. Sea of Poppies is a book that Just Works. You don’t notice the blandness of the prose because you are dazzled by the profusion of archaic and obscure yet deliciously recognizable words that Ghosh keeps weaving into the conversations and sentences in this book. This book is worth reading for the language alone. One of the greatest things about Ghosh, and I noted this in my review of his book, The Hungry Tide, is his ability to let a story tell itself. He doesn’t try to force his opinions down the reader’s throat, something that some other authors do, sometimes quite directly through infodumps and at other times obtusely through conversations or events in their books. Ghosh tells the story with an even keel, and you can make your own judgements. This is true of Sea of Poppies. Another thing I really appreciate about this book is it’s not targeted at Euramericans. A great many Indian authors, presumably worried about their bottom lines, write exactly what the fashionable parts of the West want to hear: exaggerated stories of caste conflict, language that’s carefully non-heathen and uses Western idioms instead of Indian ones. Ghosh eschews all that. Nothing against Euramerican-style literature, but it’s nice to see a more Indian flavour in a book. Although you might guess at the meanings of half the archaic words in the book without a knowledge of Hindi, those who do know Hindi can understand it better. This is a real Indian book. And unlike some other authors, Ghosh doesn’t sugarcoat the problems the British created. In Sea of Poppies, Ghosh brings out the terrible privations that British Rule forced upon India. There are Brits who still persist in the belief that British Rule wasn’t a disaster for India, and reading this book would quickly disabuse them of such notions. I’m halfway through the book. Let’s hope the rest of the book retains these qualities. I just bought a few books in Delhi, and some of their prices made my eyes bug out. Amitav Ghosh’s Sea of Poppies was Rs. 600 — about $15! This is just 25% less than the $20 or so that you pay for typical hardcover books in the USA. 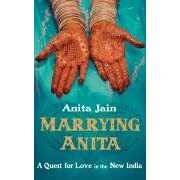 Anita Jain’s Marrying Anita was Rs. 500 — in paperback!! Assuming a purchasing power parity of 5:1, that is the equivalent of an American mass market paperback costing about $100! Low Volumes Sales might be much lower, so publishers have to increase margins. But then why not change things around and do things like release paperbacks right at the beginning, so people can buy them? High Publishing Cost Maybe my assumption is wrong and publishing costs are almost as high in India as in the West. Inefficiency? Maybe the publishing houses spend a lot on marketing but still don’t realize enough sales increases? Apathy It’s also possible it’s a “because we can” attitude; in other words, greed prevailing over good sense. But isn’t that shooting themselves in the foot? Or could it be some other reason?